St Patrick’s Thursday brings about a fantastic atmosphere for those in attendance at Cheltenham with Irish music, drinks and top level horse racing action. The festival is now just a few weeks away and this year is set to be no different. One of the top horses to look forward to on day three has to be Un De Sceaux. The Mullins trained horse will be looking for his third victory at the festival and to enhance his already high reputation as being one of the most consistent and tough horses in training. The latest Betfair horse racing bets for the race have all been on the horse as his price is now just 11/4 to follow up last year’s victory in the race. With the Irish all in attendance the fashion will also come to the fore on race day. Check out the infographic below to see tips on fashion and what you need to be wearing when heading to the festival such as the famous fancy dress on St Patrick’s Day. 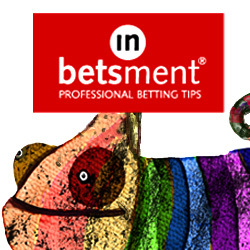 Get Your Free Cheltenham Tips Here! Get Top Tips for Cheltenham! Take the Cheltenham Quiz! Get Top Tips for Cheltenham!